Today the Ministry of Foreign Affairs officially launched the Public Awareness and Preparedness Campaign on taking Guatemala’s claim over part of Belize to the International Court of Justice, ICJ. The launch was done as the United Nations and the United States of America presented a grant in support of the education campaign, and by extension, the re-registration process. We will have more on that a little later in our newscast, but first we take a look at what the education campaign, which will lead to the referendum in April 2019, is about. And according to the Minister of Foreign Affairs, it is really a “yes” campaign. 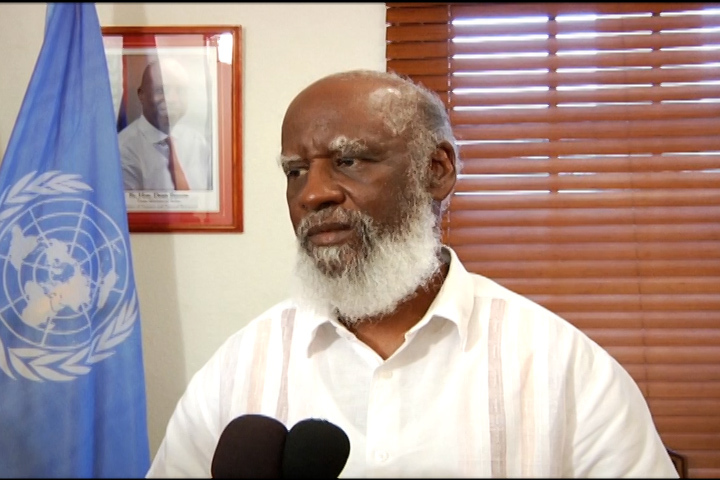 Minister of Foreign Affairs: It simply entails giving to Belizeans the history of the dispute, exposing them to the legal arguments why we think it should be resolved at the ICJ and exposing them to the political arguments as to why we think a specific peace for settlement of the ICJ will be in the best interests of all Belizeans. Reporter: But it’s a pro ICJ education campaign? Minister of Foreign Affairs Wilfred Elrington: It is an education campaign that cannot help being a pro ICJ campaign for the very simple reason that all indications are that is the wisest thing to do. Why would anybody want to offer an anti ICJ campaign when in truth and in fact we are in such a tenuous position? We have no resources, we have no military, we have no allies and we are being claimed by a huge neighbor with proven military experience and might so that it is inevitable that anybody in the right mind would want to advocate for a yes vote. I don’t think I am not in the right mind. Reporter: Not one part of the campaign will have anything to do with mentioning risks however small it may be? Minister of Foreign Affairs Wilfred Elrington: Every time we go to twelve people, every single time, the problem is that people in the media are not present when we do the campaign, we try to be very balance. I always ask that question and I say well if you say no what will happen? My response is I can’t tell you because I can’t see the future but I can tell you what has happened in the past. 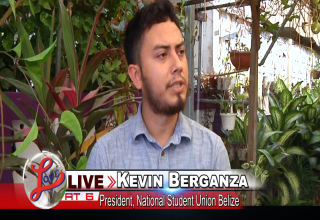 But taking the claim to the ICJ for resolution is being completely opposed by other sectors of the Belizean community. Several activist groups, six of which recently made their position on the matter public, have campaigned against the move. 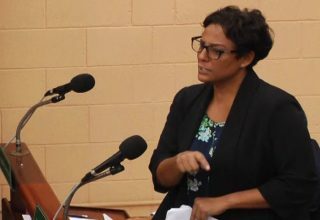 But the government is not fazed, since, according to Minister Elrington, government has received much support from near and far. The United Nations and the US are but two of these supporters. Minister of Foreign Affairs Wilfred Elrington:They support the initiative fully and not only by words but they are prepared to put resources into the process as well so that is very heartening to me and I think it’s something that the Belizean people should see as an encouragement for them to move forward and try to get rid of this claim once and for all. Minister of Foreign Affairs Wilfred Elrington: In my view and hear “I am not going to be politically correct” but if you are threatened by a huge neighbor for over 100 years and you do not think that threat should be put behind you once and for all in a peaceful way and in the most acceptable way known to humanity then something has got to be crazy with you. If you do not understand the importance of a yes vote in this kind of circumstance especially given the fact that this is an existential issue. This is not a game that we are playing and this is not an issue where we have a second or third chance, this is one chance. Do you know how long it took us to get to this point? Almost 100 years; are we going to blow it and is there anybody who is offering any rational valid reason why we should want to blow it, you have got to be crazy. That is how I see it, now I am not talking so much as Foreign minister as I am speaking as Wilfred Elrington who has spent the batter part of six decades fighting to have this Belize Guatemala issue resolved, this was the reason for my getting into politics and we feel comforted by this decision because it is a decision which was taken by the British from the 1930’s and it is a decision which as far as I know every nation in the world supports as well as every multilateral organization: Commonwealth, CARICOM, CICA, G77. The ACP, every forum that we belong to believe that this is the right thing to do. Reporter: What is the risk going to the ICJ? Minister of Foreign Affairs Wilfred Elrington:Compared to the risk for not going minimal, insignificant. 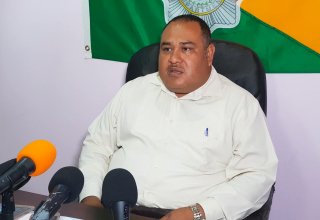 Belize will hold its referendum on April 10, 2019.